A client of mine - a lovely 7 year old girl - told me a story from her Halloween trick-or-treat-ing. The girl and her bunch of friends went trick-or-treating on Halloween afternoon. The girl was a little upset though, because she was in the midst of following a strict RPAH Elimination Diet and could not have any of the chocolates, lollies or snacks that were given. They all jumped to the basket and guess what they found? The girl jumped in joy because she had finally come across a treat that she could enjoy together with her friends. 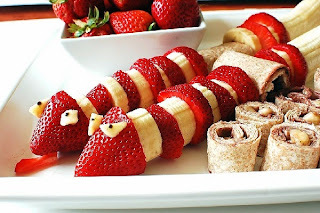 Now, when us adults say "treats", we almost always refer to discretionary foods i.e. foods high in refined sugar, saturated fats and/or salt. For example, chips, biscuits, lollies, cakes, chocolate, ice cream and the list goes on. And how many of us use these foods as "rewards"? Kids are smart. They pick up adults' habits and behaviours and quickly learn from them. Once these discretionary foods are labelled as "reward foods", they will now think of these foods as the best foods in the world. What if we change our perception on treats? By definition, treat is an item or an event that gives pleasure. The celery sticks from Halloween definitely gave the girl pleasure! 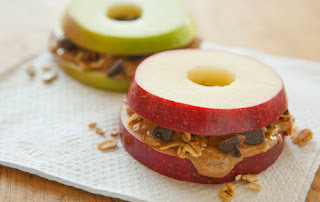 So mums and dads, let's break the habit and introduce healthy treats at home. 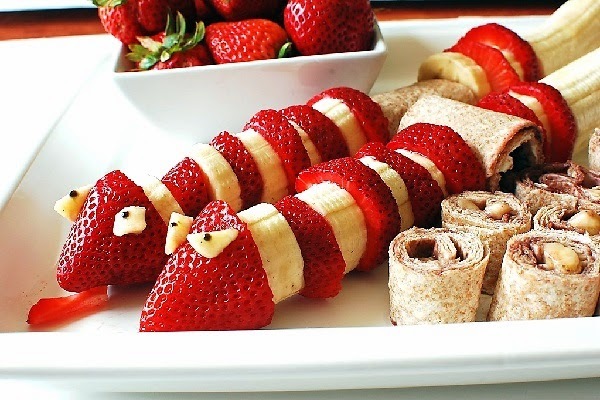 Cut bananas and strawberries and put them through a skewer. 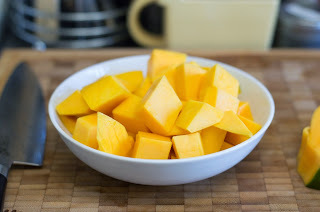 Cut or slice ripe mangos and freeze them for 2-3 hours. 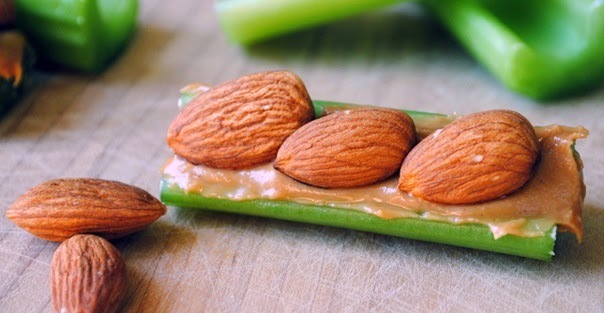 Fill in cut celery logs with nut butter, low-fat ricotta cheese or yoghurt and top with dried fruits or nuts.